With Chinese New Year just around the corner, I thought the iconic DiHua Street in Taipei would be a fitting subject for this week. Why? 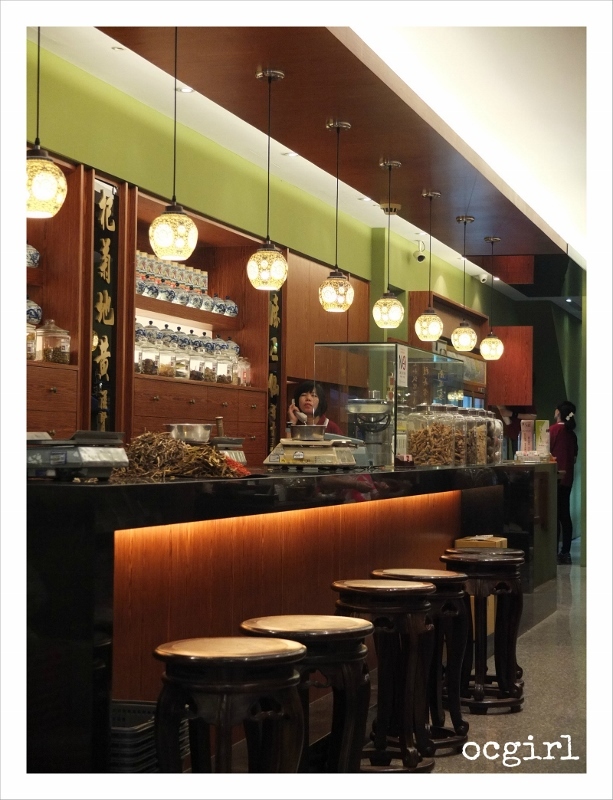 Because DiHua Street is THE Chinese New Year food shopping place to go!! Take a look at this news clip, does it not remind you of shopping malls in the States right before Christmas? Whoa….you may wonder, what's going on with the mob of people buying food as if the next famine is coming? This is because traditionally during Chinese New Year, many businesses (specifically food vendors) in Taiwan are closed for business for a least a week, therefore, unless you want to starve, it is wise to store up a large amount of food supply, this activity is literally known as "New Year Shopping" (辦年貨). But don't worry, if you are visitng Taiwan now, there are still plenty of restaurants open, and 7-11 never closes . In addition, other than the big Chinese New Year's Eve dinner with family, it is also customary that people visit relatives during the holidays, and therefore the need to prep for many days of continuous feast. So what's at Di Hua Street? 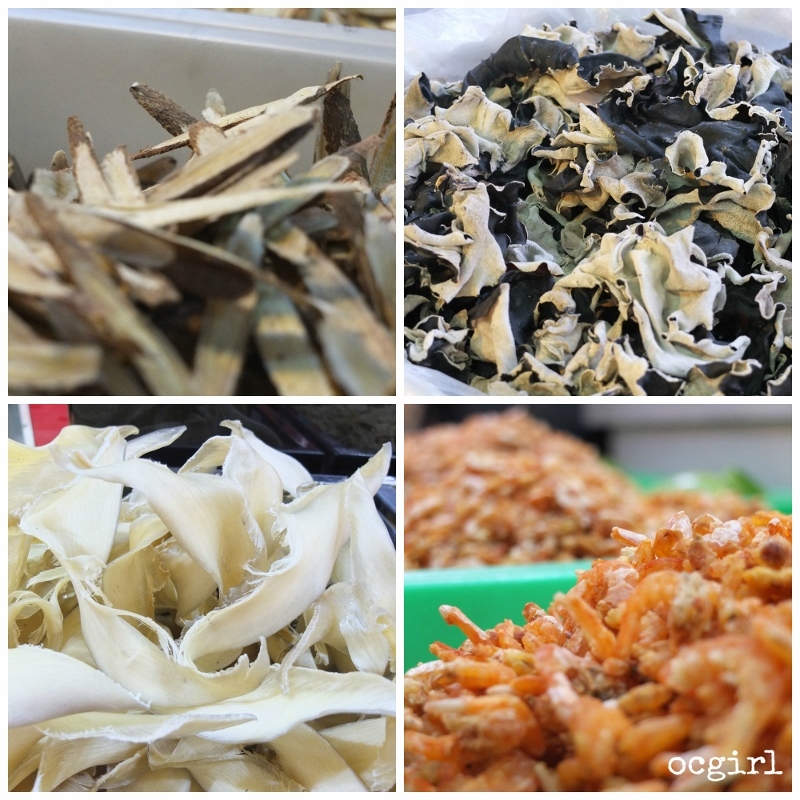 Di Hua Street is Taipei's food wholesale area, specifically "dried" food, such as shiitake mushroom, dried scallop, dried abalone, dried shrimp, Taiwanese caviar (烏魚子), etc., which are all essential ingredients for a fancy Taiwanese feast. There are also snacks and finger foods such as dried seeds (a must during Chinese New Year, though I'm not sure why….). Just a head up, there is no produce or meat market here. 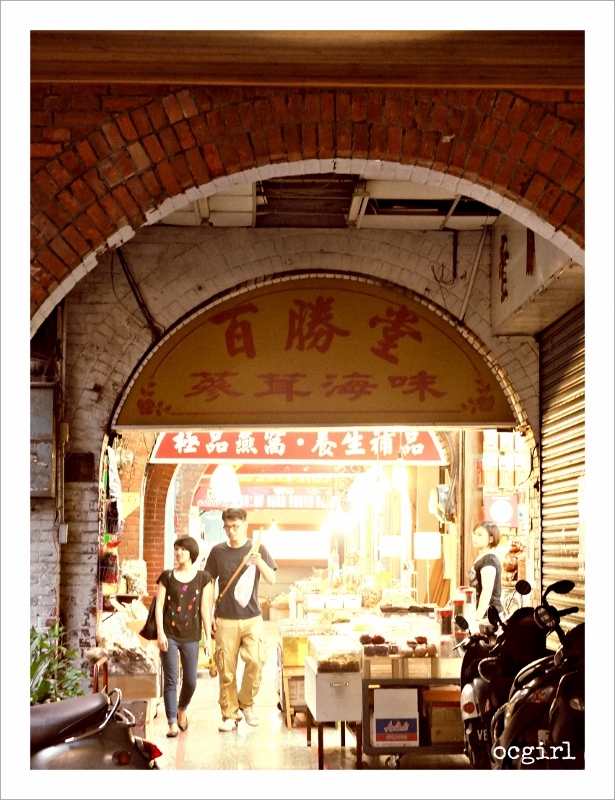 Since most vendors have been in business for generations and generations, Di Hua Street is also well known for its food quality. My mom comes to Di Hua Street several times a year to stock up on these ingredients, and would only buy Taiwanese caviar from Di Hua Street. 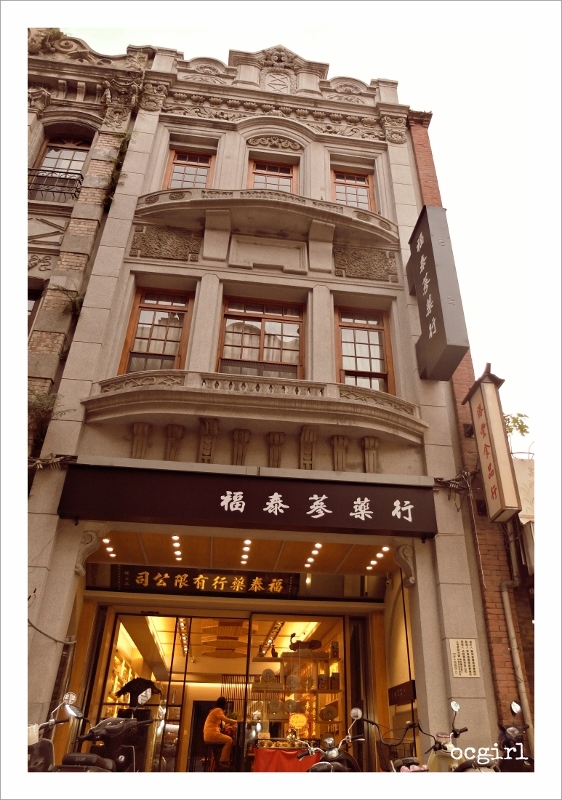 Even though I've been to Di Hua Street with my mom when I was a kid, I haven't been back there for many many years, until this last trip. 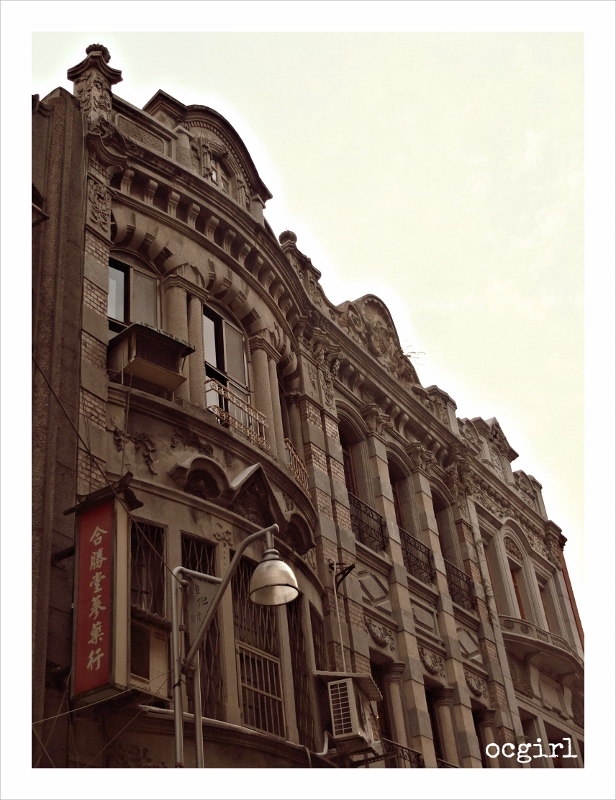 While we were visiting NingXia Night Market, my mom brought up Di Hua Street's only a few blocks away. Perhaps when I was a kid, I only focused on food that's at my eye level. 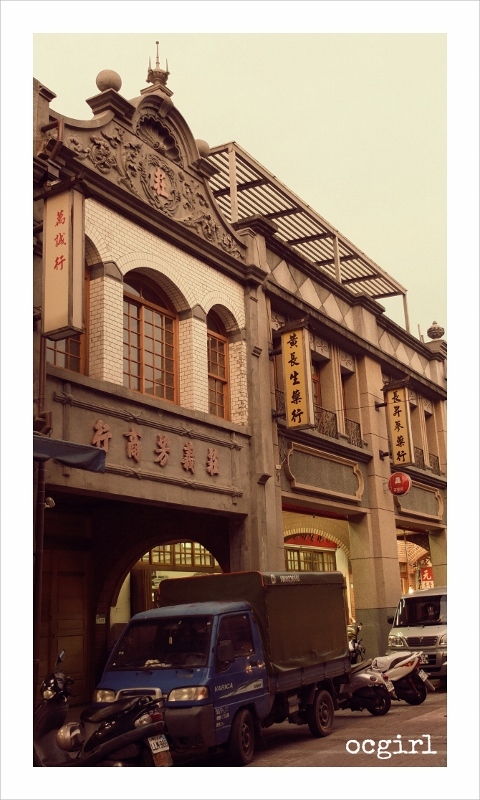 I never realized how nostalgic and architecturally interesting Di Hua Street was. 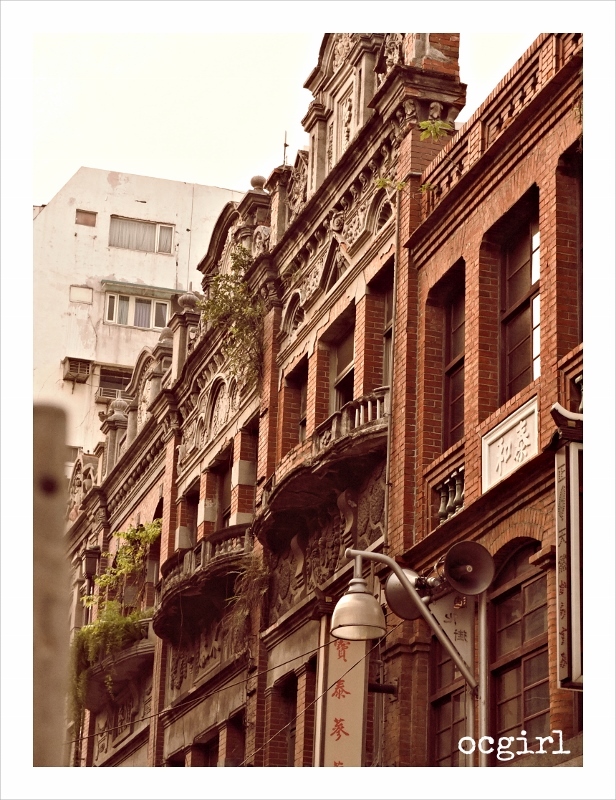 Reading up on the history of Di Hua Street, the area has been in flourishing business since the mid 19th century, and surprisingly the pan-Japanese/Taiwanese/European buildings from that era still mostly exist today, making it one of the historical streets in Taipei!! Some stores seem to have "upgraded" their looks to better fit in the nostalgic vibe. (If you find these types of buildings interesting, check out the Taiwanese Presidential building and the surrounding government buildings, which were all built in the same era by the Japanese). Most stores in Di Hua Street close around 5 or 6 PM, the street was very quiet when we were there. The absense of motorcycles and cars made it felt like I have been transported back in time! 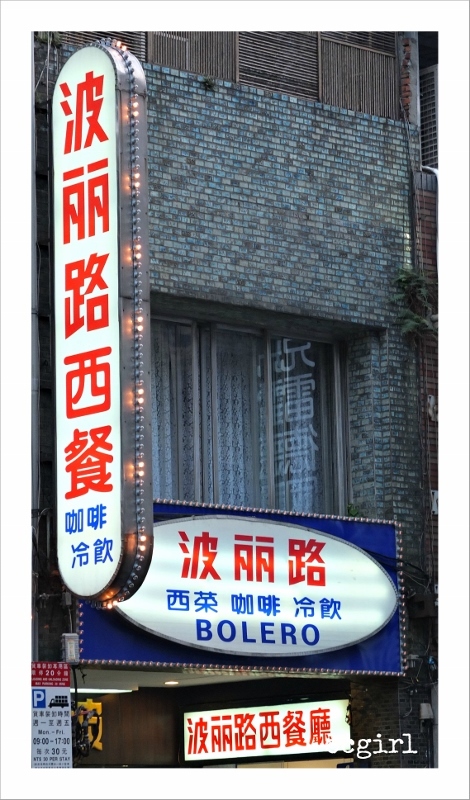 Bolero (波麗路西餐廳) is located about a block away from Di Hua Street (http://www.bolero.com.tw/index1.htm). 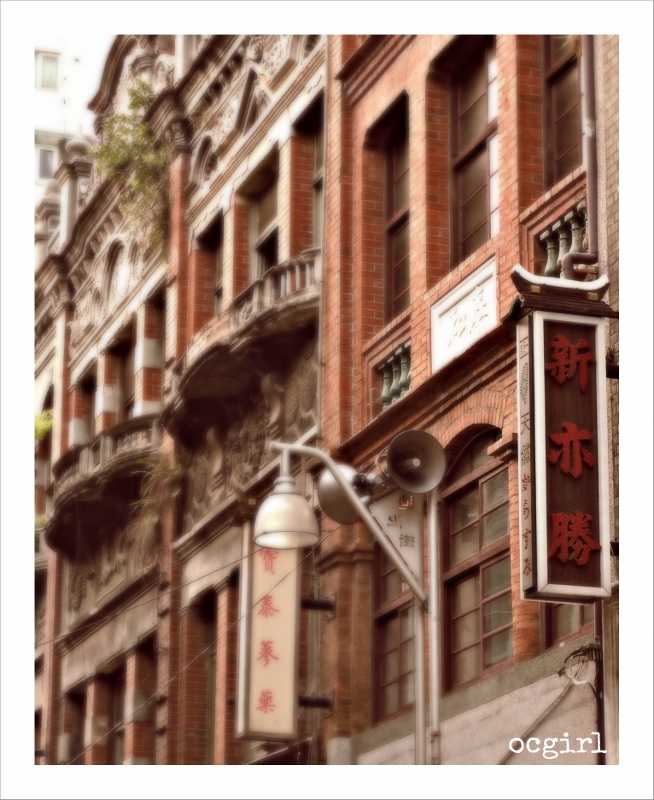 Established in 1934 during Japanese Occupation period, It is one of the first "western" restaurants in Taiwan. I didn't get a chance to eat there, it might actually be interesting to try out next time. I’m now doing a peper about “大稻埕”, and I found your website unexpectedly. Nice writing for introducing Taiwan to foreigner friends! Thank you! Good luck on your paper!